Many people who are admitted in a hospital or who present to a doctor in a clinic from their houses with serious and discomforting health symptoms are very eager to receive an immediate quick fix for whatever is wrong with them so they can disappear and never have to see the hospital again. This mindset of wanting a quick fix to health problems is what makes a lot of people either intentionally or unknowingly skip follow-up appointments with their doctors after being discharged from the hospital or after completing a treatment for a serious health condition. Is the doctor’s follow-up appointment any important? It is equally as important as the main treatment administered by your doctor and which you completed. The successful management of many health conditions requires close monitoring during the initial stage when the patient is receiving treatment in the hospital or taking medications for a health condition as an outpatient and follow-up by the doctor after completing this main treatment protocol even though the symptoms of the health conditions have gone. Some disease conditions, for example, a urinary tract infection, can resurface days or weeks after having been treated with the right medications and the symptoms (burning sensation when urinating, increased frequency of urination or pain on either side of the lower abdomen) have disappeared. Hence, doctors usually schedule a follow-up appointment with people after treating them for conditions like a urinary tract infection. A follow-up appointment with the doctor enables him or her to re-evaluate your medical history, physically examine you and carry out tests (urine cultures in the case of a urinary tract infection) to assess your response to the completed treatment. If the microorganisms behind the disease have not cleared based on the tests, the doctor can place you on an additional treatment to completely take care of the microorganisms. Follow-up appointment also allows the doctor to monitor the patient for possible complications after the patient has completed a treatment for a health condition. This is because people who have been treated for diseases like typhoid fever, meningitis or tuberculosis can still develop complications after completing the treatment. Therefore, follow-up appointments with the doctor ensure these people are constantly monitored for these complications for prompt treatment if any of them occurs. A follow-up appointment is very key in the management of people with chronic disease conditions like hypertension, diabetes or HIV. People with these medical conditions are usually on medications for the rest of their lives and they are prone to the adverse effects of these medications which can cause some of them to stop the medications. Follow-up appointments with the doctor allow these people to lay their complaints so that the doctor can change their drugs to ones without the adverse effects. Follow-up appointments also enable the doctor to assess them for complications of these chronic conditions and to place them on the appropriate treatment if any sign of a complication is found. 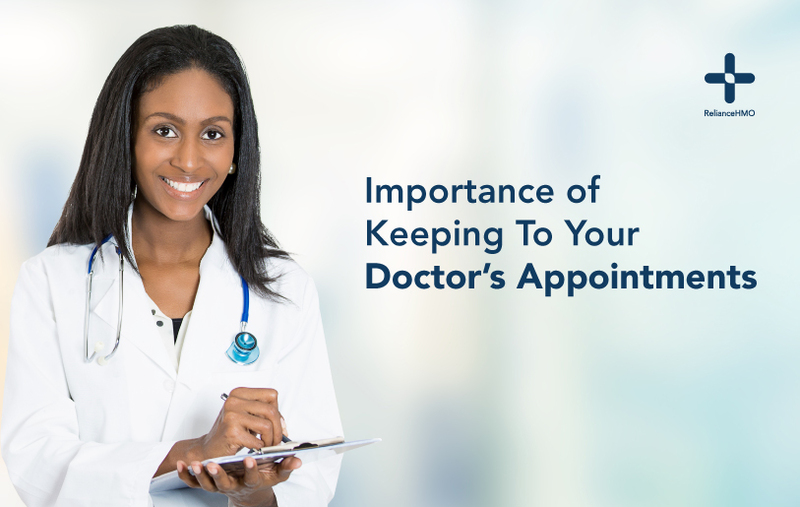 Therefore, follow-up appointments with your doctor are part of the management for that health condition you just completed a treatment for even though you have been discharged from the hospital and you no longer have its signs and symptoms. It is only after you have been seen by your doctor as stipulated by his scheduled follow-up appointments for you that you can be said to have been successfully treated.